Back in June someone came to me with an old PSE Nova compound bow (likely circa 1997-98) which according to the customer had been dryfired and needed to be restrung. "Yes, I can fix it. Anything else wrong with the bow that I should be aware of? Would you be able to drop it off tomorrow or Tuesday?" So you may note the second question I have highlighted in red. It is a rather important question. It lets me know if there is anything else wrong with the bow that might interfere with its ability to be fixed. eg. Broken or twisted cams. Now sometimes the owner is not aware that there is something else wrong with the bow. It is always possible they didn't know it had a fatal flaw. In this case the bolt insert for the upper limb had been stripped and pretty messed up. If you adjusted the bolt, it would barely budge unless you exerted some serious pressure. The customer brought me the bow more or less assembled, with one of the limbs on backwards and the bowstrings and cables haphazardly also on backwards (normally the bowstring is closer to the archer and the cables are closer to the riser, in this case they had been reversed). So whomever re-assembled it that way had basically just did whatever looked right at the time and then stuck in the case for transport. They had probably realized how complicated stringing the bow would be and given up, deciding to leave it for someone who knew what they were doing. When I examined the bow before attempting to repair it, I determined that is should be an easy fix. Take everything off since it was incorrect anyway. Retighten the bolts to hold the limbs in position. But when I got to step 3 the bolt on the top limb wouldn't budge. I decided to remove it completely and inspect it. Inside the insert you could see pieces of aluminum that had been stripped off the bolt. I clearly most of the metal, and attempted to put the bolt back in but it would slide into an incorrect angle and become stuck. I tried again, trying to keep it in the correct angle, but it would still become stuck. Worse, my attempts to get the bolt back into position were just stripping more bits of aluminum out of the insert. Yes, I could use a tap and die set to fix the insert, but that would further compromise an already compromised insert which is part of the riser itself and cannot be removed. A tap and die set can realign the threads on the insert, but it would never be completely perfect ever again, and would always have problems with it. Worse, an archer using the bow afterwards would always be in danger of the insert, riser or bolt slipping or snapping in some manner, resulting in the limb flying back and striking the archer. Anything repair I did would only make an unsafe bow even more unsafe to use. From my past in the bicycle industry I know that bicycle mechanics will sometimes conduct an unethical repair on a bicycle to please a customer, even though they know the part they are repairing has been compromised and is unsafe. They do this because they want to make the sale and get paid, and are putting their own private greed before the safety of the client. I was faced with a similar dilemma, except I was repairing a weapon/tool used for hunting as opposed to a bicycle. How unsafe was the insert? Honestly, it is an unknown. It is possible if I repaired it with a tap and die set that it would function normally and never pose a risk. Or it is possible if I repaired it that it would break under pressure (as compound bows often are put under a great deal of pressure), and then pose a serious safety hazard to the archer using it. So because it is an unknown, I give it a base 50/50 chance it is unsafe. And do I really want it on my conscious if it does break and injure the customer? Not really. I also believe in karma*. * My idiot neighbour who assaulted me back on April 30th was in a car accident about a week later and totaled his car. He cut off a bus and got T-boned, and he got a neck injury. So from my perspective, that is karma in action right there. Especially since the accident happened right outside my window and I got a front row seat to the police and ambulance, etc. Other incidents in my past have also resulted in me receiving weeks or months of good luck (good karma), so there are multiple instances where clearly I did the right thing and ended up reaping the lucky rewards. So what did I do about the PSE Nova compound bow? I tell the customer what I had discovered about his bow, that it is unsafe, and that it is basically only good for parts - not the riser with the bad bolt insert clearly, but the rest of the bow was in good or decent condition. I therefore offered to give him $20 for the pieces so I can use the bow for parts. He accepted my offer. He showed up later that evening after 7 PM to pick up his bow case, arrows, etc and my $20. Two cams that are in good condition. An old 3 point sight. A whisker biscuit arrow rest that is in decent condition. An old metal stabilizer with camouflage paint on it. Oh and an aluminum riser that effectively would make a good paper weight. I wasn't expecting for him to let me have the sights, arrow rest and stabilizer, but he evidently didn't care about them. So they were basically a bonus. I think he was mostly just thankful to get rid of a junk "lemon" of a bow and could go get himself something nicer. Indeed he would be hard pressed to find a buyer for a broken old compound bow, as most compound archers prefer to buy the "newest 2018 model" that is available. The resale value of old compound bows is pretty bad as they depreciate in a hurry. Not all PSE Novas are "old" per se. The bows and variants of them were made between 1997 to 2011, with various draw lengths, draw weights, brace heights, alternative designs with different let offs and IBO speeds. The model was eventually discontinued, likely due to poor sales. During its heyday the PSE Nova was considered to be a good starter bow for beginners who wanted to get into compound archery without having to pay an arm and a leg for a decent bow. Old used PSE Novas now typically sell on eBay for about $75 USD, but it is a case of buyer beware, as the bow will likely have problems with it after years of use (or misuse). 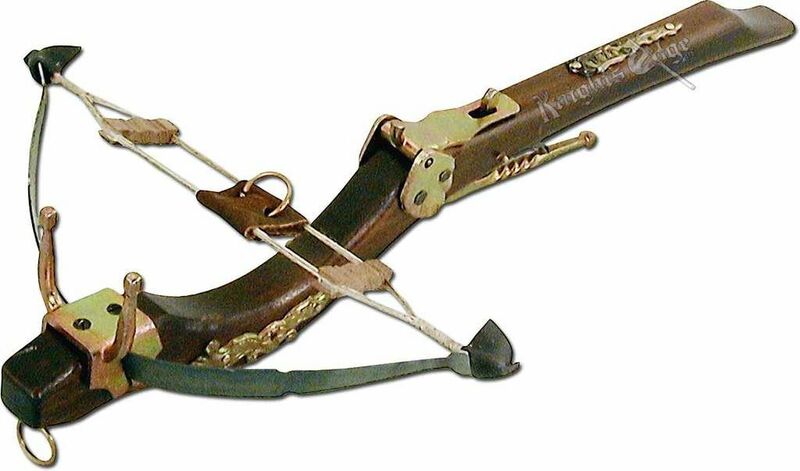 The PSE Nova was never considered to be a desirable bow. Rather, they were a cheap "decent quality compound bow" for a reasonable price. They are not something a person would want in their collection for historical reasons. My vintage Jennings and vintage Black Hawk compound bows on the other hand, those are collectors items and definitely desirable. So what should I do with those spare parts? Honestly, I have lots of options. Build a wooden compound bow riser, with roughly the same dimensions of the original Nova riser. Make a "Frankenstein compound bow" where I mix and match parts from different bows. Make a stone compound bow*. Make a stone compound crossbow*. Build a reverse compound crossbow. Or... just keep the parts handy for whenever I might need them. I am leaning towards options 1, 4 and 7. Whatever I do with them, this is a project for me to work on during the winter when I have more spare time. 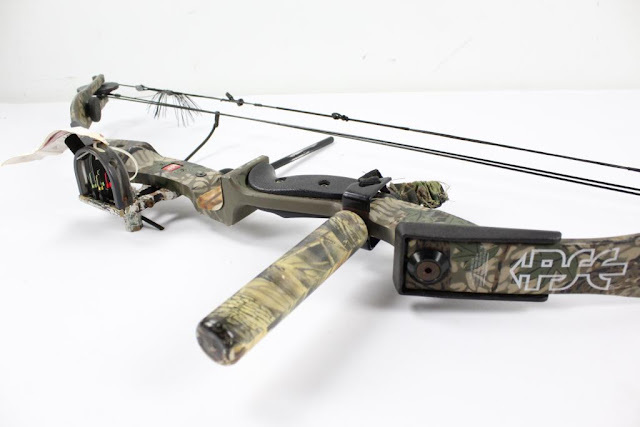 * The stone compound bow is an interesting concept. Essentially the arrow acts like a plunger that goes forward and bumps a pellet that is roughly the size of a marble (or literally a marble), and then the pellet / marble is the projectile that shoots forward through a barrel and is launched towards the target. Sort of like the "arrow gun" shown below. In the case of the stone compound crossbow, there is no need for the arrow itself. The pellet / marble is loaded into a barrel with slits down the sides. The bowstring then pushes the pellet through the barrel and it is launched towards the target. The stone crossbow is an ancient design that worked a bit like a slingshot, but modern variants have determined that the bow gets way more accuracy if it uses a barrel design instead. 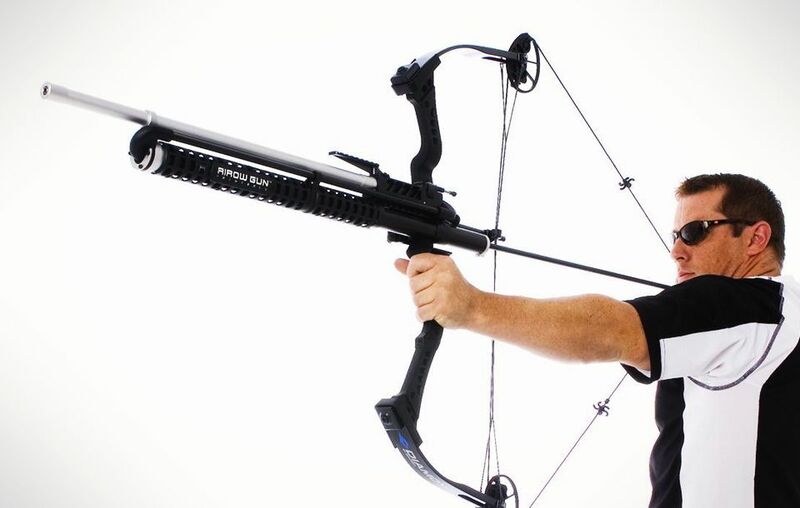 A reverse compound stone crossbow... would that be a first of its kind? Has anyone but me even thought of making such a thing? Am I the first? I bet Joerg from the Slingshot Channel on YouTube hasn't even thought of that, and he is a pretty crazy German guy who qualifies as a mad scientist in my opinion. Because clearly if you are going to build something that crazy, you need a German mad scientist to do it.